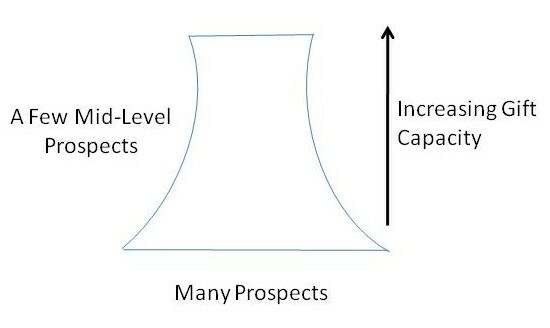 As this graphic suggests, many major gift pipelines are not as robust at the middle gift levels. Why is this the case? Two reasons: First, the annual fund serves as the donor acquisition program so there are many donors at lower amounts. Second, most organizations know their top donors and spend time strategizing on major gift donors and prospects. But many organizations don’t spend the same kind of time on the cultivation, solicitation, and stewardship of mid-level donors. So, what occurs is an hourglass pipeline. What is the result? 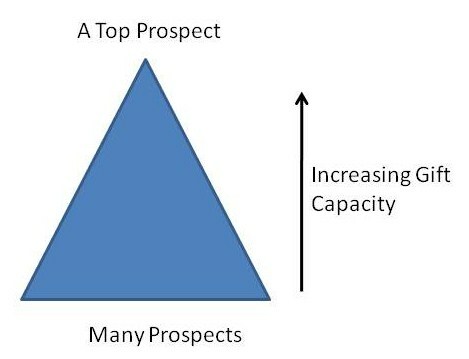 Simple – Donors at all levels who feel good about their giving to your organization which leads to more top donor prospects. 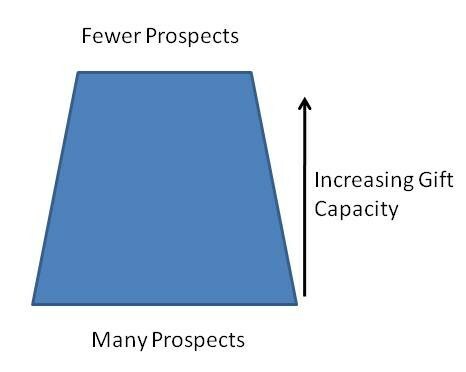 The Gift Pyramid is ok, but most organizations will take a Gift Isosceles Trapezoid any day. So, what will you do today to build your Trapezoid?